The Slice table by Hans Toft Hornemann for Normann Copenhagen is a dining table with a classic, nonetheless attractive look and a simple, reduced design. 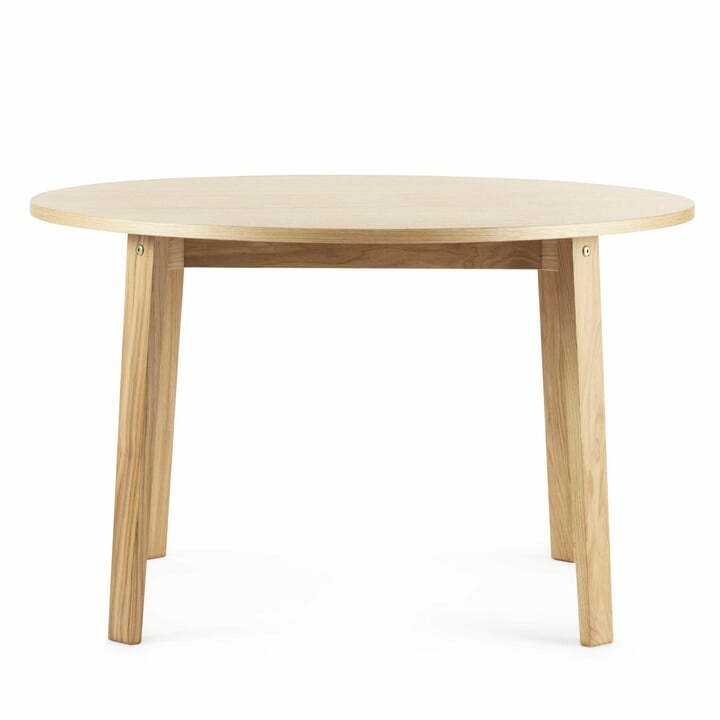 The typical Scandinavian restrained design gives the table made of wood at the same time a solid and contemporary, modern look. It is often used as a dining table in the kitchen or in the living room, as spacious alternative to desk in the office or even in the restaurant - the Slice table is versatile and offers a large surface to work or eat at. In addition, the wood and the slightly rustic look create a natural and warm atmosphere. Coming in different sizes, the table is suited for smaller dining or living rooms or other areas.